Former volleyball player Hedder Ilustre beamed as she accepted her degree. 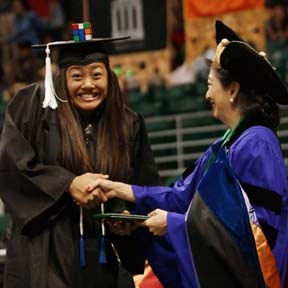 The commencement address was given by native Hawaiian business leader and UH alumna Beadie Kanahele Dawson. The graduate address was given by Heidi Aguinas, who earned a bachelor of science in travel industry management.